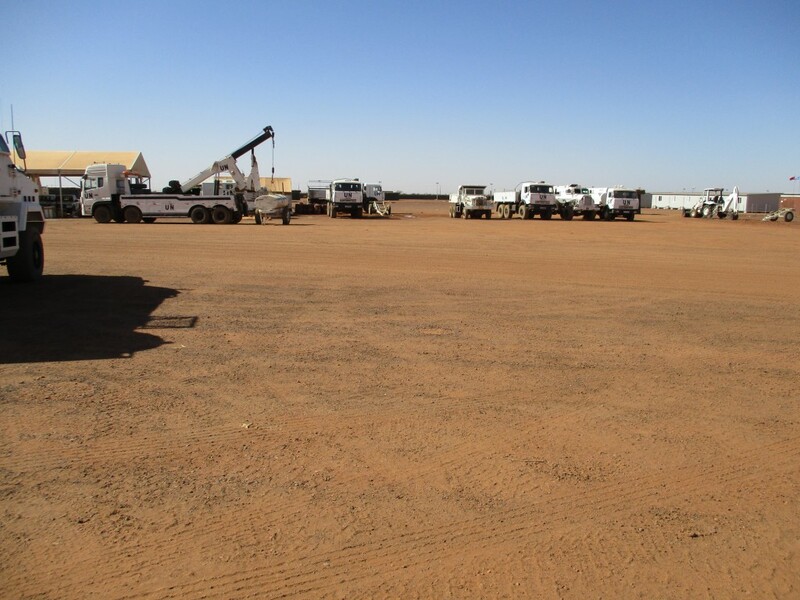 TDI were recently awarded a contract to provide fleet maintenance for vehicles in northern Mali, one of the toughest theatres in the world. TDI will provide repairs and maintenance in four key locations in Mali to ensure MINUSMA and UNMAS can continue to deliver their humanitarian support mission in Mali. The project will see the establishment of workshops for light and heavy, armoured and soft skin vehicles, plant and equipment. These tented workshops will be fitted with air conditioning, extraction ventilators and state-of-the-art interlocking flooring technology supplied by Utilis. The workshops are built to withstand and provide a protected environment in heavy wind, high temperatures, sand and rainstorms. TDI will also provide a fully equipped administration office and housing facilities for staff employed in each location. An online fleet management system will be used to enable remote users to access accurate and up to date records for each vehicle. TDI has a sizable footprint in Northern Mali and this project will be integrated into the current structure. This is particularly advantageous in terms of established access lines to resupplies such as food, spare parts and lubricants. This contract adds to our portfolio of experience with complex logistical management in demanding and testing environments. Hugh Morris, MD of TDI said “We are delighted to have been awarded this contract as it reinforces our position in Mali and extends our reach beyond pure Mine Action. We pride ourselves on getting things done in challenging places and this is a great addition to our remote logistics support business”.